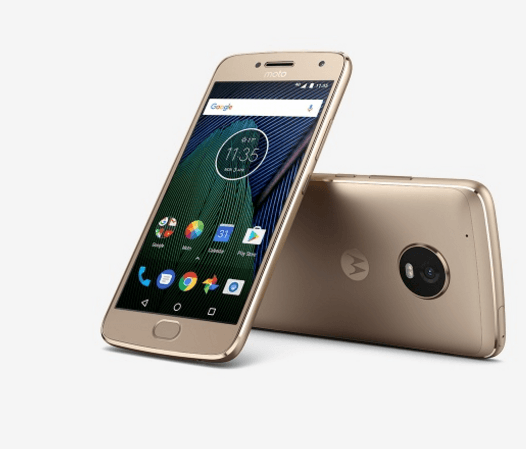 Motorola, at the recently concluded Mobile World Congress 2017 event in Barcelona, Spain has announced the next generation Moto G series smartphones, namely, the Moto G5 and Moto G5 Plus. While the Moto G5 is the smaller phone with relatively low specifications of Snapdragon 430 SoC, 2GB of RAM, 16GB of internal storage, and a 2800mAh battery, the Moto G5 Plus, on the other hand, is a powerful smartphone with Snapdragon 625 SoC, 3GB/4GB of RAM, and a bigger 3000mAh battery. Both the phones come with a fingerprint sensor located at the frontal part of the phone, same as the Moto G4 Plus and Moto Z series of phones. Nevertheless, Lenovo decided not to make the home key clickable, and we all hated the Moto G4 Plus’ fingerprint sensor placement, but slowly got used to it over time. This time around, the sensor is not a square shaped, which we hated in the Moto G4 Plus and Moto Z series of phones. Instead, it is an oval shaped one that makes the new Moto G5 and G5 Plus look decent enough. However, unlike seen on Moto G4 Plus, the sensor on the G5 Plus can perform more operations. Indeed it acts as three buttons- home, recent apps, and back button. You might be wondering: How does a single button can perform all these operations? Also Read: Will the Upcoming Metal-Clad Moto G5 Plus Outshine the Budget Beast Xiaomi Redmi Note 4? Well, here’s the answer! Motorola has added some new gesture controls to the software, where you use the touchpad to perform certain operations. In Motorola’s case, you can go back to the previous screen by swiping left, whereas swiping right on the touchpad takes you to the multitasking menu, and the regular tap takes you to the home screen. For years now, manufacturers are relying on Google to something implement and to just follow, but this welcome change will open the gates for something new. Also, the Huawei P10 which was unveiled at the MWC 2017 tech show comes with the same implementation, but Huawei’s implementation differs from that of Motorola’s, though. Earlier, we have seen the same implementation in the Lenovo Z2 Plus with their U-Touch, but that was mishit for the company as the feature functions barely. Although you can enable the on-screen navigation keys, this function will be useful for those people who are looking to take advantage of the 5.2-inch Full HD screen. Motorola officially confirmed that the phones would be reaching Indian shores on March 15. The phone is expected to be priced at Rs. 14,999 for the 3GB of RAM variant.